As little as 100 years ago, it was possible to look up in the sky at night and see millions of stars spread across the Milky Way. Now, there are many children who will grow up and never be able to see it where they live. The invention of artificial lighting allowed the advancement of civilization. It allowed people to be able to do activities that were once restricted by the darkness of the night, but it also turned us into a 24/7 society that is now plagued with the mental and physical health effects of light pollution. However, light pollution is doing more than turning humans into sleepless zombies by day; it has drastic effects on the ecosystems of Pennsylvania. Some birds migrate at night and use moonlight and starlight to guide them. The light from urban centers can cause them to stray off course and wander into cities, sometimes confusing them so much that they fly into buildings and die. In addition, artificial light can disrupt their cycles and cause them to migrate too early or too late. Light pollution has also been found to cause birds to choose poor nesting sites. Nocturnal animals have eyes that are sensitive to light. What appears to be darkness to humans can look like the brightness of day for animals such as raccoons, coyotes, bats, deer, and certain species of birds. We are not only affecting our ability to sleep, we are affecting the lives of wildlife too. Many animals depend on nighttime for their reproductive cycles. For instance, frogs and toads croak at night as part of their reproductive ritual. Light disrupts the ritual because the frogs do not know when it is time to croak. Frogs and toads have been known to cease their mating activities altogether in areas where light pollution occurs. Fireflies depends on the darkness to send their bioluminescent signals, using the signals for mating and to warn of predators. Stray light interrupts their ability to communicate and reduces populations by disrupting mating. Excessive light not only affects animals, it also affects the ability of plants to breed. Nocturnal moths play an important role in the pollination of certain crops and plant species, so declining moth populations have a significant effect on plant populations and productivity, especially night blooming plants. Moths are attracted to light and will often be killed when they come into contact with hot components. The light also makes them more likely to become a nighttime meal for birds and bats. Light pollution upsets the balance of predators and prey. Nocturnal animals sleep during the day and do most of their hunting and food gathering at night. Light pollution changes their cycle and transforms the dark of the night into daylight. Prey species, such as mice, rely on the darkness for cover, depending on the inability of their predators to see in the darkness. Coyotes howl more during the dark of the moon to assist each other when hunting larger prey and to mark their territory. Coyote territories have been known to change when the sky is bright all the time near cities. This can cause an over or under population of prey animals. For instance, when coyotes do not keep populations of mice, voles, and deer in check, it can have a cascade effect on agricultural crops and disease infestations in human populations. Creatures of ponds and streams suffer from many of the same maladies as land creatures when exposed to light pollution. Many fish depend on the intensity of the light as a cue for certain behaviors, such as breeding. Dragonflies and other insects lay their eggs in ponds, freshwater streams, and lakes. Artificial light can make them mistake man-made objects for water, especially those that have dark, shiny surfaces. Light can make asphalt, black plastic sheeting, or glass look like a good place to lay eggs. The decline of fish populations will have an impact on sport and commercial fishing on Pennsylvania waters. Everything is connected and when light pollution impacts one species, this affects the species that depend on it for survival. The main effects of light pollution are increased predation and interrupted breeding cycles for a number of species. Combined, these two factors place an increased strain on animal and plant populations. Light pollution affects species in the foundation of the food web more profoundly than those of the upper echelons. Insects, amphibians, and nocturnal animals experience decreased numbers. This will eventually have an effect on the entire food chain and the ecosystems of Pennsylvania. 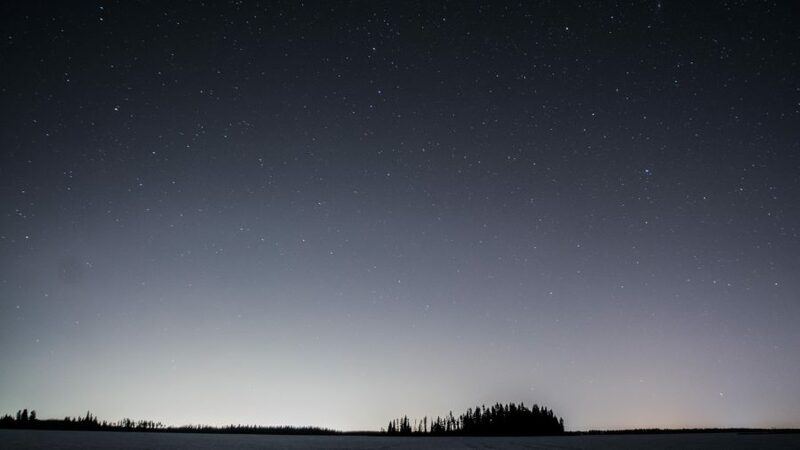 Although there are no official numbers that quantify losses due to light pollution, the effects on wildlife have been demonstrated in numerous experiments. Light pollution represents an environmental change. Over the millennia, animals and plants have adapted to changes in their environment. However, man’s introduction of light pollution occurred more rapidly than the ecosystem could adapt. The false cues sent by light pollution could cause many populations of plants and animals to dwindle or become extinct. It is difficult to measure the monetary contribution of the species that are lost or affected by light pollution. Artificial nighttime light has a negative impact on many aspects of our life experience and could have damaging effects on agricultural production. Resolving the light pollution problem is as simple as turning out the lights when possible. Many municipalities and states are now establishing dark zones for the purpose of creating areas without artificial light. They are doing this for the benefit of both human and wildlife inhabitants. Light pollution is often ignored when it comes to protecting the environment, but it should be something that is on the top of everyone’s list.